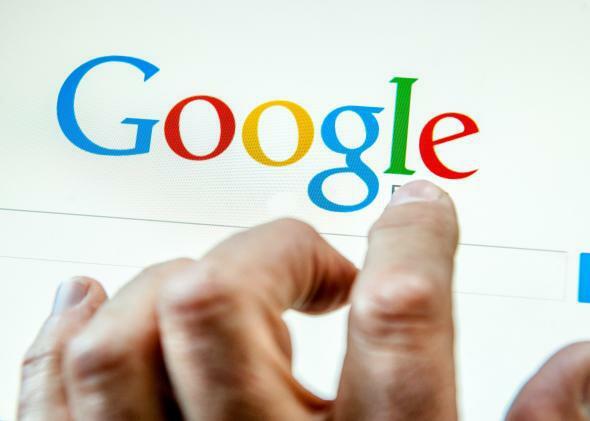 Companies are suing Google over ad policies that cost Pubshare $1 million. 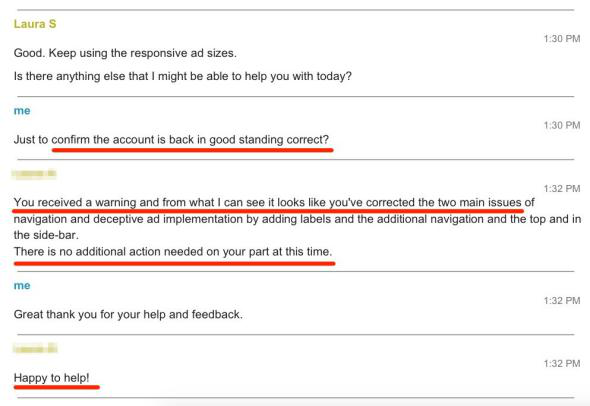 Companies complain that once you’re out with Google AdSense, you’re out—no warning. Small businesses and tech startups are losing hundreds of thousands of dollars in search ad revenue from Google because they have difficulty following the company’s policies. One company, Pubshare, has sued Google for nearly $1 million in revenue it allegedly earned from ads, which Google declined to pass on to the company. LAYOUT ENCOURAGES ACCIDENTAL CLICKS: Publishers are not permitted to encourage users to click on Google ads in any way. This includes any Complaint implementation that may encourage accidental clicks, such as placing ads near flash games or navigation bars, or placing ads and site links extremely close together. Ogtanyan says he ran his ads in the same format as those on Chacha.com, Dictionary.com, and Answers.com, which continue to run AdSense advertising. Google asked the court to dismiss the case, but a judge ruled to let it proceed. The company has recently indicated that it is bowing to pressure from publishers: In a blog post, it said it would be “making some changes” when considering whether publishers should be banned. “Allowing an AdSense publisher to accumulate hundreds of thousands of dollars in earnings without any warnings of improper practices, and then abruptly refusing to pay out any of those earnings by means of auto-generated form e-mails is the very definition of bad faith,” says Randy Gaw, a lawyer at the San Francisco firm Gaw Poe, which represents Ogtanyan. Google declined to comment on this story when contacted by Business Insider. Another website operator told Business Insider that it earned more than $500,000 in a few weeks from Google’s AdSense advertising program before being banned from using Google and losing all the money in its account. Four different companies have told Business Insider they are talking to their lawyers about suing the search giant for fraud. Three have actually sued, according to copies of the litigation obtained by Business Insider. In total, Business Insider has heard from seven companies that say they lost tens or hundreds of thousands of dollars when they were suddenly banned from AdSense. All the companies say they were following Google’s strict rules about how to place ads on their site. Some of them say they were encouraged or given approval for their ad plans by Google’s sales staff. The companies showed us emails, images from their AdSense account dashboards, and online chat transcripts with Google staff to demonstrate their problems. In all the cases, the companies say they would have been happy to change their websites in any way that Google asked. Appeals are limited, they say. “Google’s appeal form required Plaintiff to limit his appeal to 1,000 characters,” Ogtanyan’s lawsuit says. A viral photo site, Pubshare.com, that lost nearly $1 million. A viral news site that lost $500,000. A business accelerator site that lost $200,000. A publisher who lost $300,000. A web-based text-messaging site, MesTextos.com, that lost $46,000. A quiz site, QuizDee, that lost $35,000. Some of the companies agreed only to talk privately because their lawyers advised them not to speak to the media if they were preparing legal action against Google. The owner of one company who did not want his name published told us that his site had been so successful that after it had earned $200,000 or more in one month he checked with Google to make sure he was in compliance with the rules. Three AdSense reps reassured him that his site was compliant. So he invested more money into the site, and his AdSense account earned more than $500,000 in revenues. Then he was banned from AdSense for monetizing invalid clicks. Payments to you may be withheld to reflect or adjusted to exclude any amounts refunded or credited to advertisers and any amounts arising from invalid activity, as determined by Google in its sole discretion. If Google detects a site that may be breaking the rules, the company will generally send a note to the publisher explaining which policy was in question and, in many cases, give them a chance to make changes to their pages to keep the account in good standing. Publishers are also given an opportunity to appeal policy decisions. Google has recently softened its stance toward publishers who get banned like this. In two blog posts it has indicated that it will consider publishers’ cases more generously, particularly looking at tenure, and it has given publishers more warnings about the nature of invalid botnet traffic that can show up on sites. More broadly, Google is engaged in a high-profile war against low-quality advertising. It recently revealed that more than half of ads served on Google properties were never seen by humans. The company wants to be seen to be leading the way against garbage ads. Google has millions of ad customers. Many of them are unsophisticated publishers who may be buying traffic from botnets or other illegitimate sources. Google cannot explain to them why their ads are being pulled for fear of educating botnet operators on how to get around Google’s policies. The problem, however, is that while Google’s compliance staff is trying to enforce the rules, Google’s sales staff is sometimes encouraging publishers and not alerting them that their revenue streams have fallen afoul of rules that will get them banned. The contradiction comes because publishers believe that the sales staff members are able to tell them that their sites are in compliance and won’t get banned. In fact, a different staff team at Google makes decisions on publisher bans. Another source told us that in September “I was surprised last night when I received a notification from Google that my AdSense was disabled. I didn’t even received any warnings regarding any violations. Last month I earned $72,000 and got paid. This current month so far (September) I was earning $52,000 and lost it. This source’s website may have been banned because it used news that had been reblogged from other sites. Google does not allow “scraped” content. The source complained that plenty of mainstream sites did the same thing, and that even if that were true, he was not given a chance to rectify the situation. Because AdSense bans cost companies so much money, and because they are permanent, a growing number of businesses have come to believe Google’s confiscation of money that had been earned via AdSense is unlawful. Google is also being sued in the US over allegations that it suddenly and without explanation withholds ad money from website publishers once their sites become successful. Earlier this year, the company was the target of an infamous, and obviously fake, conspiracy theory that publishers who made $5,000 or more per month were banned from the system right before their checks were paid. (The theory has a giant hole in it—Google collects revenues only when it delivers those ads, so banning successful sites would actually make Google poorer.) This theory has been making the rounds for years. There is one obvious aspect of the AdSense rules that might dampen the ire of publishers who are critics: Google takes the money only after it has been earned. These publishers might have less to complain about if their earnings were paid out before they were exiled from the system.